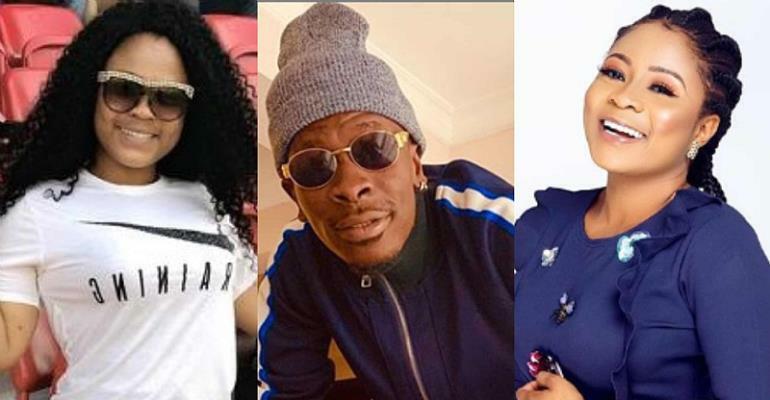 Ghanaian actress Kisa Gbekle recently took to her Instagram Page to confess that she used to hate Shatta Wale and never wanted to associate herself with him. But after meeting him for the first time, she has come to love him and that impression she had about him has changed. She admitted that she has come to realise how loving and caring Shatta Wale is. I know you won’t see this because of so many notifications Papi. I never liked you one bit but when I met you the first day I realized you are the nicest, coolest, most real, caring and loving person. I remember telling it to your face “ Shatta I don’t like you oo, you laughed and said, you will love me when you get closer” and hugged me warmly. And you made it happen. You are soo special to me now. You always on the move of 💵. Every word that comes out of your mouth is motivating, you gave me a different image about so many things. You are very very hard working and prayerful. You always want to see me happy and doing well, you show me how to carry myself etc. The supports 🙈. Efo I want to say a very big thank You To You. More than a brother to me. ❤️❤️❤️❤️ @shattawalenima much love King ❤️❤️.